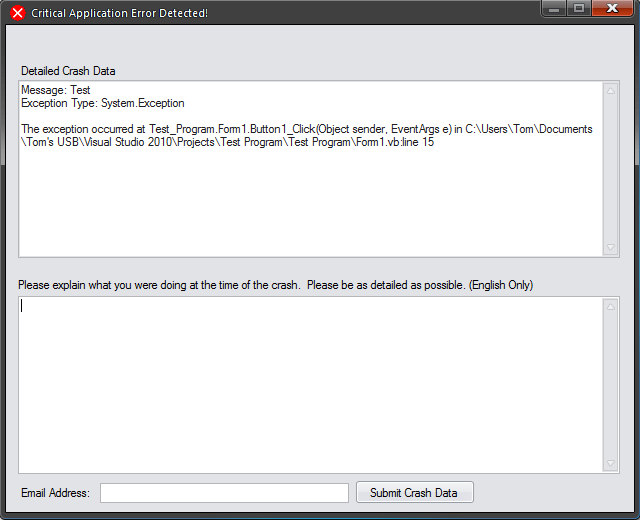 Starting with recent versions of my programs, I have included the ability to submit crash reports right from the program itself. In the past, people have given me crash reports via comments on this web site, it’s cluttering up the comments and not only that but there’s no way for you, the user, to submit your email address to me without having spammers get your email address. Submitting the crash report via the program allows you to submit your email address to me without fear of having a spammer get it. 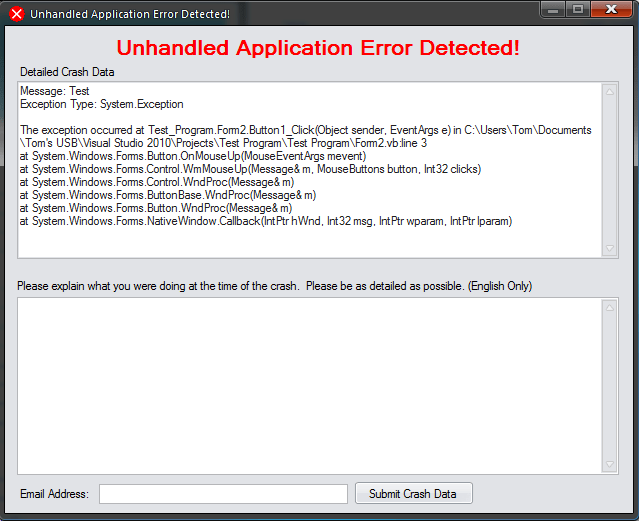 There are two types of crash reporting windows that are included in my programs. Please use this form of submitting crash reports instead of submitting them in comments.